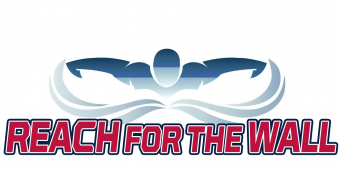 Ten teams from Potomac Valley head to Orlando, Florida for the 2019 National Club Swimming Association (NCSA) Junior National Championships (March 19-23). For a little background on this meet, check out our past article, ‘What are Junior Nationals and Futures?‘ Nation’s Capital has placed 1st in the team scoring since 2011, and last Spring, they ‘ran the table’, and placing 1st in the Men’s, Women’s and team overall scoring. Machine Aquatics and Rockville Montgomery also fared well placing 5th and 6th in the Men’s standings and 9th and 10th overall. Here’s the full Psych Sheet as of 3/18. As you would expect, there are a number of events where PVS swimmers either have achieved the top qualifying time or are among the top 8 qualifiers. Many of these swimmers haven’t competed in their ‘best events’ since their high school championship meets in mid-February, so we’re hopeful to see some fast swims! You can find additional information about the meet by visiting the NCSA Meet information site. Good luck to all the PVS swimmers this week! RMSC ran the table at NCSA Age Group Champs. That meet is coming up March 27-30 & we’ll do our best to cover it as well.